Ok, I’ve finally given up the good fight. I tried, I evangelised, I contributed development effort, I bought 5 phones; but one man on an island cannot save Microsoft’s total lack of effort or enthusiasm for their own mobile strategy. I was an island on an island. I’ve endured mockery, lack of support from broadcasters, companies and governments, absence of interest in support from peripherals (try to find a pair of headphones that has inline controls that work on a Microsoft Mobile phone); now even my partner has left (not me, the platform). App -gap. I’m not a fan of “apps”. They’re expensive to develop, inconsistent to use and difficult to support. Until the industry realises that the world’s best and most compatible app has always been available (it’s called a well written site on the internet), we’re stuck with native apps and companies who develop on one should develop on them all – or leave a percentage of customers (Windows Mobile) in the cold. Unless your app has good reason to be native, such as games or requiring access to hardware, all you’re doing is replicating what your mobile site is probably already doing – but worse. As app developers came and went, the reason to stay reduced. It was SmartThings what done it, in the end. Windows 10. Windows 10 was an abomination when it first landed on our computers. Every aspect of its launch was a botch. Overly aggressive deployments of an operating system that was clearly not ready for market do nothing to help users. The idea is a grand one, and one which is appreciated, but some things must remain stable and reliable. Windows 10 is essentially always in beta. It’s much better now (though still wide of the mark of what Windows 7/8.1 was), but that first public version was Vista-in-miniature. The effect on hardware that demands performance and reliability, mobile phones, was even more acute. Older phones were left out in the cold, effectively abandoned; battery life suffered and apps were downright buggy. Yet, the Universal Windows Platform is awesome and very exciting for developers – but why are people like SmartThings not even bothering despite its benefits and ease of development? It’s a vacuum into which Google will fit with its Chromebooks. Microsoft. I’ve often said there can be no greater curse on a Microsoft product than Microsoft itself (Silverlight, Windows Media Centre). They create awesome platforms and applications which identify key user requirements, yet successfully damage and burn their own products. 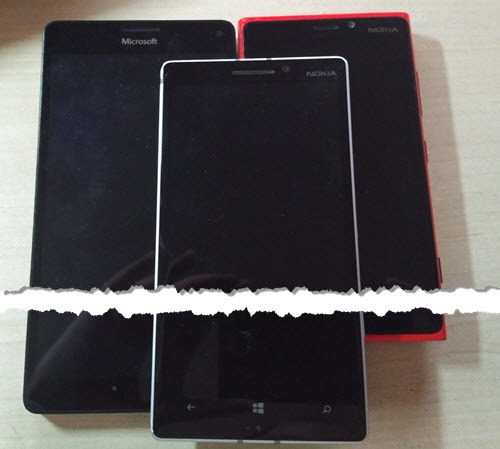 Windows Phone launched in an aggressive marketplace and had to stand out, and it did. Not always in a positive way, but that would be improved, it brought a unique experience to the market: Live tiles, deep social media integration, Groups, Rooms, Kids Corner, Apps Corner, the list goes on. As the platform struggled, instead of doubling down and making a big deal of these unique selling points, each of these was strategically extinguished. Now, what used to be a unique platform with limited uptake has become yet-another-hamburger-menu platform with an even more limited uptake. Nadella. Since Satya Nadella took over Microsoft, there has been a fundamental shift in Microsoft’s strategy, and one which is both welcome and exciting. Open-sourcing of Microsoft code with contribution from the community, free development products and cross-platform support of key Microsoft assets such as Office, SQL Server and Visual Studio have all been welcomed by the industry, even by the haters. But it is unfathomable when the apps developed for Android and iOS are better and updated more frequently than on their own platform. They are subscribing to the very same logic that has cursed the Windows Store: there’s not enough people to warrant the development effort. Of the 10 people I know who have used Windows Phone/Mobile, only one remains with the platform, and I don’t suspect that is down to choice alone. And now, I’ve left too. I held out, through the Nokia purchase (Nokia phones were always awesome, even before they were involved in Windows Phone), through the marked decline in product quality as Microsoft took hold of the Lumia line and into the “nothing to share” phase; waiting, always waiting for that distant Surface Phone to be realised into an actual product. But why? They want to redefine the Mobile platform, but when and how? All we have to look at is a patent filing. I’m not interested in a foldable phone, or a phone that is a hologram or anything else. I want a phone that works. If a Surface Phone was released tomorrow (or more likely, at this year’s MWC), there would still be a lack of support for it. It’s already dead.